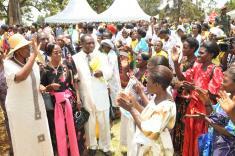 The First Lady Janet Museveni has urged Christian parents to jealously guard the responsibility that God has entrusted to them as shepherds of their children. 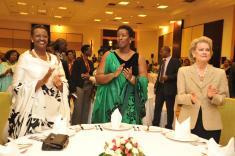 The First Lady Janet Museveni has arrived in Kigali Rwanda for a two day visit at the invitation of her counterpart Jeannette Kagame. 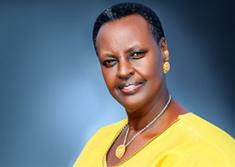 The First Lady, who is also the Minister for Karamoja Affairs, Mrs. Janet Museveni has said that God is still faithful to the people of Uganda. 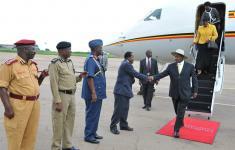 President Yoweri Museveni and his wife Janet Museveni have returned home from South Africa after a one day working visit during which they also attended the graduation ceremony of Col. Muhoozi Kainerugaba at the South African National Defence College. President Yoweri Museveni currently on a working visit in Pretoria, South Africa has attended the graduation ceremony of Col. Muhoozi Kainerugaba the Special Forces Group Commandant who has completed a six months training course at the South African National Defence College.